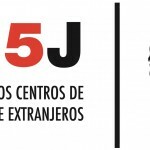 The following are the summary and recommendations of the joint report by Spanish NGOs Pro Igual and Ferrocarril Clandestino on the situation of migrant women in Spanish Detention Centers for Foreigners. The full report is available here. Detention Centers for Foreigners are prisons in all but a name. Both governmental institutions and civil society have decried the appalling conditions and violations of human rights there. What is important to note is that detainees have not committed any crime, but merely an administrative infraction of not having papers in order, which presents less danger for the public than incorrect parking. While both men and women face violations of their human rights, female detainees face a number of specific concerns. These include: sexual harassment by the guards; ill-treatment of pregnant and breastfeeding women; separation of mothers from minor children; lack of access to general medical and gynecological care, and lack of adequate nutrition even for pregnant women. Victims of human trafficking get no support whatsoever, even though they may be eligible for residence on humanitarian grounds. Many migrant women end up in detention centers because of police raids based on the controversial practice of ethnic profiling, condemned by a number of international human rights bodies. Human rights NGOs and monitors should be allowed to enter detention centers and privately interview inmates – this is often sabotaged by the centers´ directors. All personnel of the detention centers must wear visible identification badges and face sanctions for failure to comply. All allegations of ill-treatment, especially sexual abuse of female inmates, by the guards must be investigated and prosecuted. All inmates should have access to independent legal counsel, and translation if necessary. The authorities should declare a temporary moratorium on expulsions of migrant women, pending the review of their cases. Women detainees in particular should have gender-sensitive healthcare and adequate nutrition. Pregnant and breastfeeding women should under no circumstances be detained or separated from their children and families. Suspected victims of human trafficking should receive necessary legal, medical and other assistance. The authorities should decisively end ethnic profiling practices by the police. 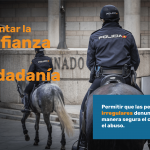 In the course of 2012 and 2013, PRO IGUAL conducted monitoring of hate crimes committed by Spanish extreme right elements against immigrants, minorities, and other vulnerable groups. The aim of the project has been, besides documenting individual cases, to explore the origins, specifics and the reach of the extreme right. The project highlighted certain weaknesses in the Spanish legal and policy frameworks. Spanish legislation, on the one hand, allows proliferation of parties and organizations propagating intolerance. But on the other hand, it fails to provide adequate recourse for victims. In addition, victims often either do not know how to complain or are afraid. This serves to create a climate of denial and impunity for hate crimes. PRO IGUAL reports and other materials on the subject are available on the website. In the meantime, we would like to make the following conclusions and recommendations relevant for a number of countries in the OSCE region. The Governments must recognize the reality and the danger of the extreme right ascent to power, and not dismiss the right-wing extremism as fringe behavior of a handful of marginalized youths. It is also important to recognize that the extreme right has received a Public Relations makeover. We are no longer dealing with just crude manifestations, such as shaven heads or military boots. The contemporary extreme right is an increasingly sophisticated and insidious ideology that masks hate as care and violence as freedom, and actively uses democratic means to attain undemocratic ends. Appeasement does not work. Some of the mainstream parties tried to woo the extreme right voters by embracing xenophobia. But they will never be radical enough for the extreme rights, but will instead lose their core supporters alongside with integrity. Economic crisis and corruption must be addressed urgently, as they feed into the extreme right´s popularity. Ineptitude in handling the economic crisis, lack of transparency and seemingly endemic corruption turn the mainstream, moderate voters away from the established parties into the grip of the extreme right. Laws must protect the victims of right-wing extremism, not provide loopholes and excuses for perpetrators. It is not enough to be reactive; it is essential to become pro-active. This means the alarm must be raised BEFORE the extreme right ascend to power. Otherwise, with each new victory of the extreme right, there will be fewer countries even left to condemn it. Last but not least, the Governments should work treat civil society as an ally, and not as a nuisance, as presently civil society is the only force resisting the rise of the extreme right to power. While Catalonians formed a human chain for independence in their region, a group carrying Spanish and fascist flags interrupted celebrations at the Catalan Government center in Madrid on Wednesday, shouting, tearing down flags and using pepper spray. Digital Journal reported on the human chain, dubbed the “Catalan Way Towards Independence”, formed by hundreds of thousands of Catalan residents across their region on Wednesday, demanding independence from Spain. However, not everyone was celebrating Catalonia’s national day on September 11. The European Convention on Human Rights, signed in Rome on 1 November 1950, entered into force on 3 September 1953. Today we celebrate its 60th anniversary. The European Convention was the first instrument to give effect and binding force to some of the rights stated in the Universal Declaration of Human Rights. Thanks to the Convention and the supranational court it established, human rights have for the first time in history gained precedence over national laws and practices. The Convention was originally signed by 12 countries and its entry into force was triggered by the 10th ratification, which was deposited by the Grand Duchy of Luxembourg. Convention contains 59 Articles and was amended or supplemented by 14 Protocols. Since 1953, over half a million human rights complaints have been brought under the Convention and the European Court of Human Rights in Strasbourg has delivered c. 16,500 judgments.